If you are looking to purchase quality Poodle Puppies, the task you have to manage is to find reputable Poodle breeders. Take a look at some tips, on how to find such breeders, where to look for them and what questions to ask, when buying a puppy. Poodles are not rare breed, so there are good chances of finding Poodle breeders in your local area. However, the best place to start the search is not your local paper classified ads or internet market web sites or boards. The best place to start, is to check out the American Kennel Club or American Poodle Club. Breeding the Toy Poodle and Miniature Poodle. Available puppies are listed on their site and they welcome you contacting them regarding the available Poodle puppies for sale on their website or possible puppies in the future. 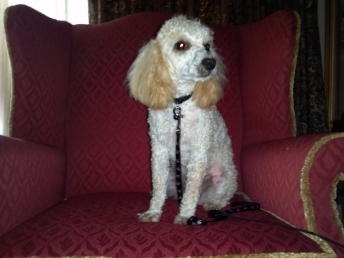 Petit Jean Puppies breeds the Poodle. Their focus is the health of the Poodle puppies that they have for sale. They also focus on the temperament of the puppies that are available for sale. Visit their site today for more information about the puppies they have for sale. Vicky's Toys has been breeding for over 20 years. Vicky's Toys breeds the Poodle. These puppies are bred because they know how much a new puppy can affect a family positively. Visit their website to see all the great Poodle puppies for sale. We breed the Poodle to a high quality standard so we produce quality Poodle puppies for sale. We strive at producing quality puppies and to do so we work with quality dog food and supplements. Our Poodles are a variety of colors. We have reds, Black, Chocolate, Apricot, Parti, and Phantom. Most people used to view Poodles, as ornamental dogs, spoiled pets, combed, groomed, with hair band and all dressed up in cute and funny dog clothes. However, few people know, that Poodle dogs have been bred and used for many centuries as hunting and water retriever dogs.